We have said it earlier and will keep on the grin until you realize the fact that there are endless Android tricks one would find on the Web. Sometimes the android mobile tricks are user-oriented focused to fix bugs or else they are developer-oriented to simply bypass or tweak something. Whatever the reason be, we definitely think that you should be knowing about the best Android tricks which you may not have tried before. Do you think the Android mobile tricks are just for fun? Well, if you look at the big picture, you will find that some of the best Android tricks mentioned would help you enhance productivity, save time, and make things easier than it was ever before. It is rather an interesting idea which does the trick to increase the possibility of getting a lost device back. You might have observed in the security settings that you can display the owner’s information at the lock screen. Well, it might come handy in case you have lost the device. Of course, if someone intentionally took your device, it won’t be easy to track. On the off chance, if he/she is not a thief, the person can get an idea or clue about whom to return the device. To be precise, you can write your address/phone number which would help someone to locate you with ease and return the device. There is actually no need to search and scroll through the long list of applications installed (110 in my case!). 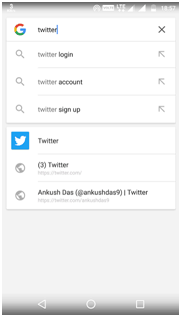 Instead, get used to this simple trick of using the Google search bar on your home screen or nova launcher or similar launchers to search for the specific app you want to launch. You may feel that these aren’t geeky tricks at all, but you were most probably not searching for the app in this way rather you had to scroll through the app drawer to find the desired app. 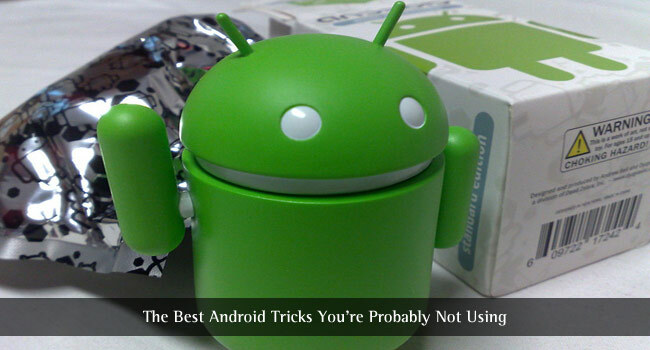 It is one the most popular Android tricks ever. You might have observed the build number in the “About” section of the devices or precisely in the “Software info” section. You just need to tap on the build number for 7 times continuously to start the countdown and finally get the message – “Congratulations, you are now a developer”. After doing that, just head back to the “Settings” menu where you will find a new option – “Developer Options”. With that being accessible, you can do a variety of experimental things that may be of any use to you (don’t rush trying any option that you don’t know about!). You may be acquainted with the traditional passcode lock or the pattern lock. Have you tried using the Smart lock? It makes things way convenient for you to use your smartphone at home / trusted places with ease. You just need to add trusted devices or locations or facial recognition where the smartphone would automatically get unlocked for you to use. So, you won’t have to unlock the phone again (and again!). You won’t be needing a password when you’re at home (unless you think you’re in the CIA!). So, it’s a simple trick to remember but way more useful than you ever thought. There is a possibility that you are being repeatedly disturbed by some annoying notifications. Well, chances are, those are the unnecessary notifications reminding you to continue to play a game or so. If you really do like the game, you would revert back playing it once again, won’t you? Also, there are push notifications that are usually advertisements (or clickbaits!). You can simply head on to the settings->Apps. Now, you just need to select the app for which you want to disable notifications by navigating to the notification option inside. 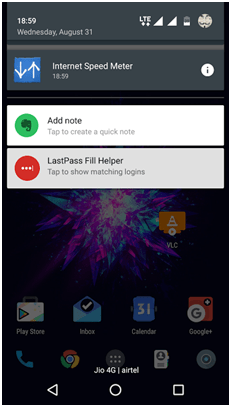 If you are not aware of the app for which the notification arrives, simply pull down to find the notification and tap on it for a longer period of time to find an option to view the app info. Now, click on it and disable the notifications. It is true that not all of the applications tend to work with the new multi-window feature on Android Nougat. But, there’s a simple tweak that you can make use of in order to make incompatible apps compatible (kind of) with the multi-window feature. For this, you need to head on to the developer options and enable the option to force activities to be resizable. 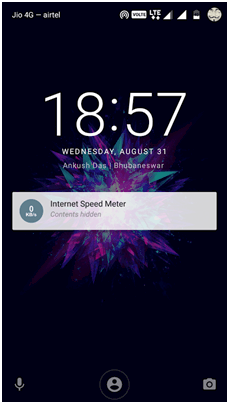 If you’re a new Android user, this would help you saving a lot of data when you are on a metered internet connection. In either case, if you are using your friend’s mobile hotspot just to check an email, you may end up exhausting his/her data limit. Usually, when connected to Wi-Fi, the applications start getting updated from the Play Store. And, if you don’t stop it manually, it would install every update available on the Play Store for the apps installed on your device. In order to prevent this, launch the Google Play Store and head to the settings. 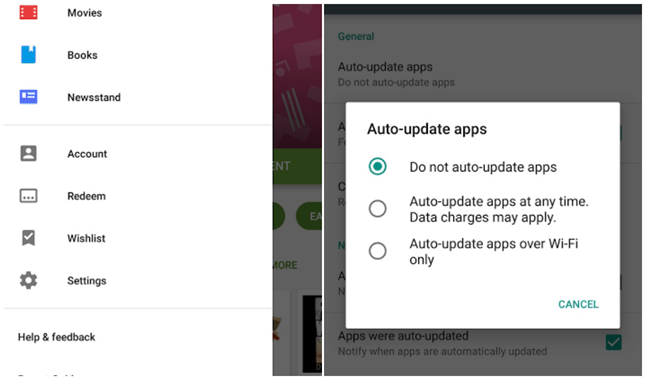 Now, click on “Auto-update apps” and set it to “Do no auto-update apps”. “Do Not Disturb” mode comes in handy at times but if you forget to disable it, you might miss a lot of important calls or notifications. By default, on Android Marshmallow, you can set it to disable automatically after a certain fixed time. But, on Android Nougat, you get an ability to where the DND mode turns off automatically just when your alarm goes off. It makes sense, doesn’t it? You just have to enable the DND mode and set an alarm to wake up at the desired time. But, things will be different this time, even if you don’t wake up after the alarm goes off, you won’t miss any calls or messages, with the DND mode deactivated you’ll be notified about everything. You won’t have to miss the calls just because you were lazy enough not turning off the DND mode, now it’s automated! You may find this option baked in with most of the latest Samsung devices or even if you are using the Paranoid Android ROM. It might be available for some other devices as well, but we are not aware of such. You can let us know through the comments section if you know anything more about the devices supporting this feature. 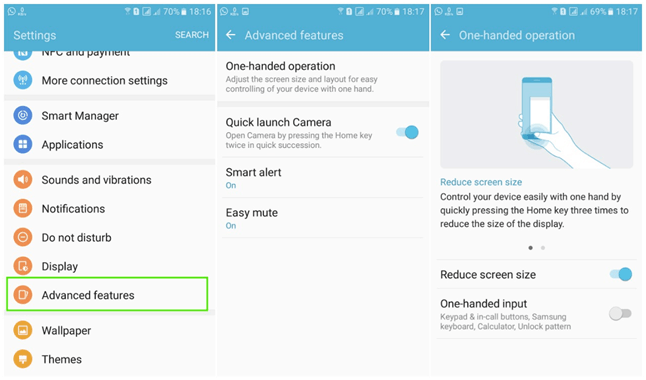 The option lets you use your device without the need of holding the device with two hands. It basically scales the screen size to a smaller size which you can easily operate one-handed. It’s easy, and convenient. Not just if you have a small sized hand, but if you’re busy eating or carrying out a task that makes it difficult for single handed operation, you should keep this enabled. If you sit around for a longer time, you might be able to explore even better Android mobile tricks. However, we have mentioned the best and the ones we think are the useful tricks for Android. Did we miss one of your favorite tricks for Android? Want to share some of the interesting tricks for Android you know about? Feel free to let us know your thoughts in the comments section. Lock screen message is new for me. Otherwise I know mostly of them. Very nice article. Well written and long article about android tricks. Good going brother. Keep it up! It sounds interesting to read your articles. Wonderful tricks didn’t know this. Thanks, Ankush. Very nice article.Great trick.I will surely give a try at them. As was not aware of many things that are mentioned in the article, thanks for it and was looking out for Disable Auto Updates,T ry Smart Lock and One-Handed Operation. It would be good if you come up with more of this type in the coming days which are more useful. Hye your article is good for the user, it is very helpful article. I like to visit your website. Now I bookmarked your website. Thank you. 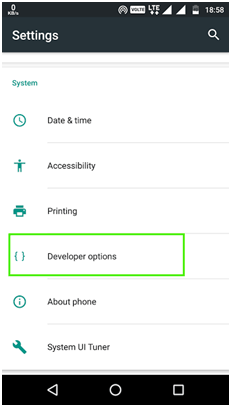 I have been using Android phone from many years but I was not aware of the Developer option. Thanks you for the tricks. Thank you for these excellent tips. It is true that many of us fail to utilize our Android phones to the maximum. This article will be of great help in using Android phones to the maximum. Awesome list. Would surely love to try them. Specially the trick to stop the notification was great. Thanks. And you can bring Android Nougat features in your Lollipop or Kitkat by using Xposed Framework. Xposed framework is not available on Play store but you can download it from thier official website. Thanks for your post-Ankush Das. Few hidden secrets are missing. 1) Using Chrome browser, when can save entire pages in pdf formats. go to any website, on top right side, click 3 dots, then click share , choose print , choose to save as pdf, click round button or save , that’s all, it will ask you, where you want to save. Choose a location and save. 2) Ester eggs games are hidden in Android, but we can enable it, when we want to play, after playing or existing, the game will go again disabled and will be hidden mode. 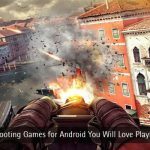 to enable this game, tab 6 0r 7 times on ANDROID VERSION. 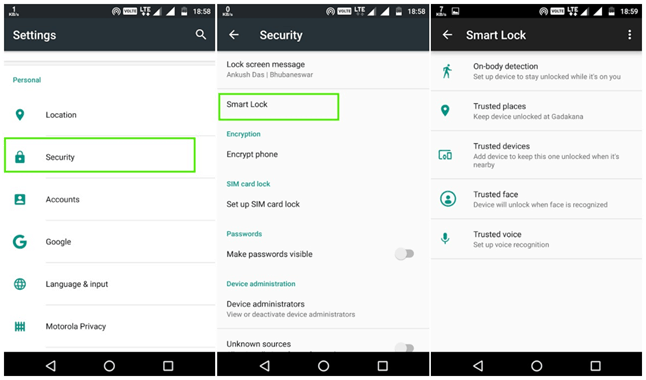 It can found in settings —about –Android version. 3) If the sim card or networks are not working means, we can do reset for networks, it includes Mobile data , Wifi and Bluetooth. It can be done via settings — Backup & reset — Network settings reset — click blue button, restart the phone. ( note this option does not in all the smartphones an and it can only resets the networks and not the factory reset.